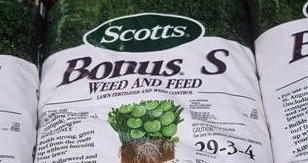 The # 1 fertilizer to avoid is this one - Scotts Bonus S. As you will notice right on the label, it contains a herbicide called atrazine and that toxic chemical herbicide should not be used around your shrubs and trees. Why? It will kill them!